These ones are self-explanatory… I personally don’t reach for these colors a lot but I would love to repurchase a full size of cranberry which is pretty good. ^_^ Blackberry is too dark for an everyday look and everyone raves about Kitten but I don’t like the strong vanilla scent that comes with this lipgloss. As you can tell I’m almost done blackberry which is positive and I have used up a lot of Kitten which is also positive. 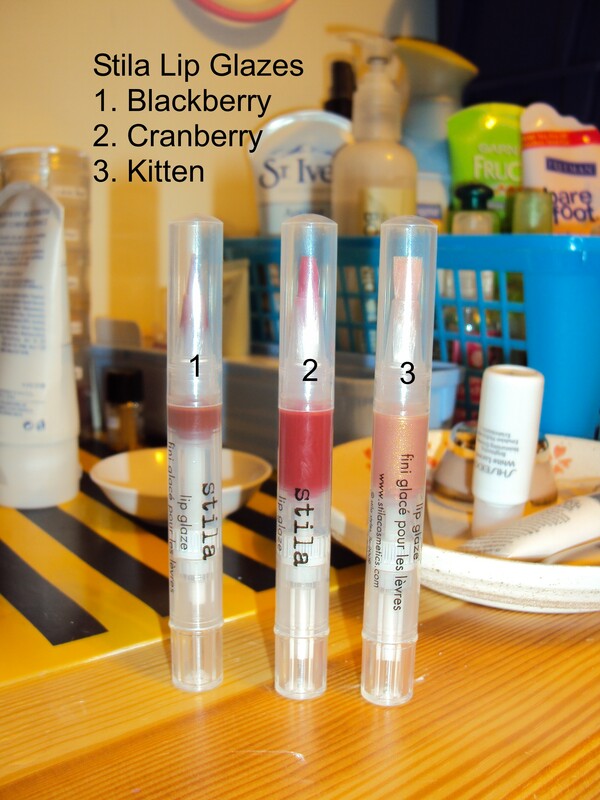 I am on the way to finishing these ones though I wouldn’t mind keeping cranberry for special occasions… sadly the lifespan of these lipglosses is only a year after opening the packaging. Ah well must finish quickly and the best as I can they were expensive. 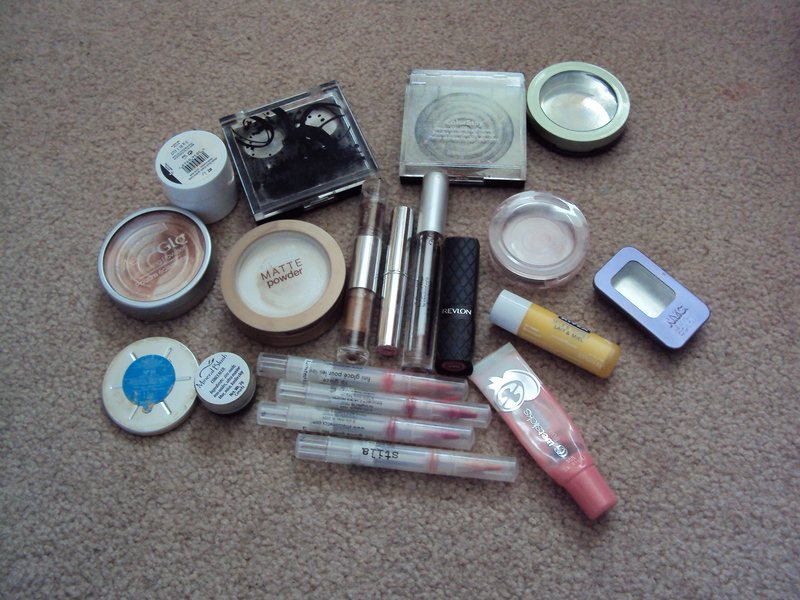 >.< $38CDN for a set of 8. 1. Covergirl Wetslicks Lipgloss in Clear Radiance – Just regular clear lipgloss… this was bought with a coupon same goes for the Amazemint one too… I use this for tutorials and stuff. 2. Covergirl Amazemint Wetslicks Lipgloss in Slaphappy – Bought with the clear lipgloss it’s pretty good but I don’t wear gloss that often everyday therefore I must try to finish it up as best as I can. 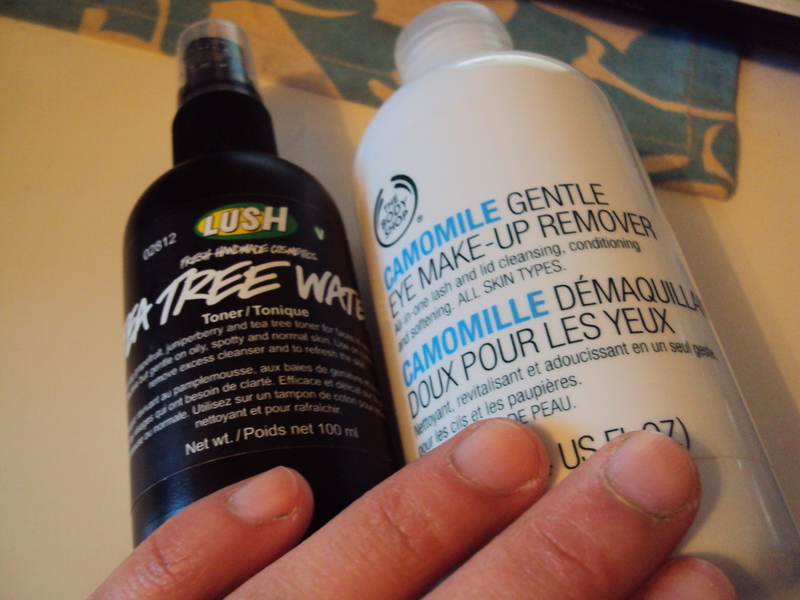 I would not repurchase this one… not as good as I expected. 3. Covergirl Fresh Complexion Concealer in Light-medium(?) – I don’t remember the shade because it fell off for some odd reason but this one is a pretty good concealer just not my shade. 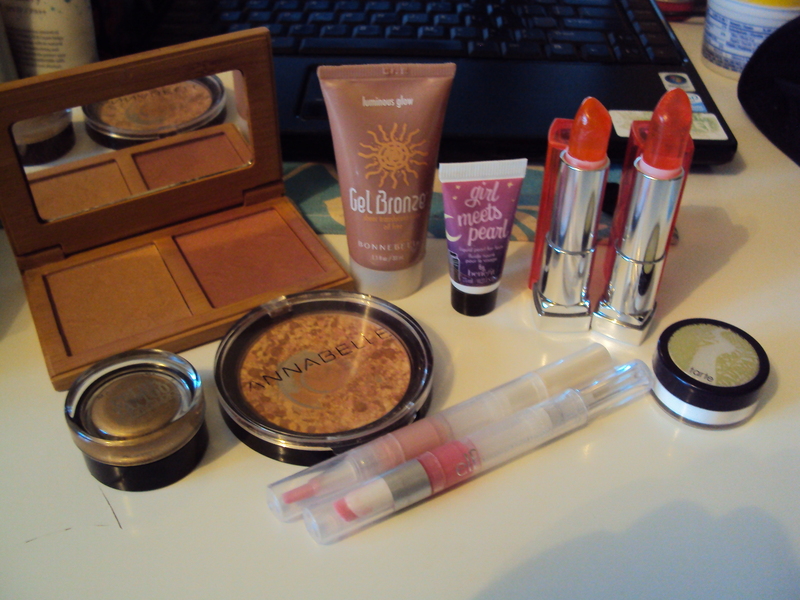 It’s a little too pink I believe for my skin tone but I still use it to correct my blemishs. I think I’m 3/4 done it. 4. Wet ‘n’ Wild Megalash Mascara – A really clumping mascara I would not repurchase but it does the job of keeping my lashes curled. 5. Covergirl Wetslicks Fruits Spritzers in Guava (yum) – This was a yummy flavor but I don’t find myself reaching for it very often… but still pretty yummy. 6. Nivea Lip Care Caregloss and Shine – Bought about 3-4 years ago and I know I should throw it out but I really liked this gloss back then. 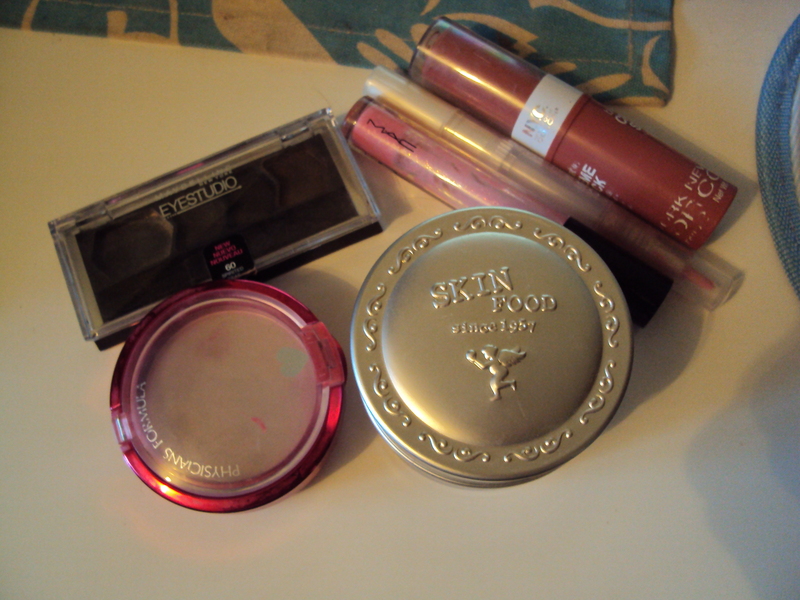 I like it because it actually moisterizes the lips and gives it a gloss sheen as well. 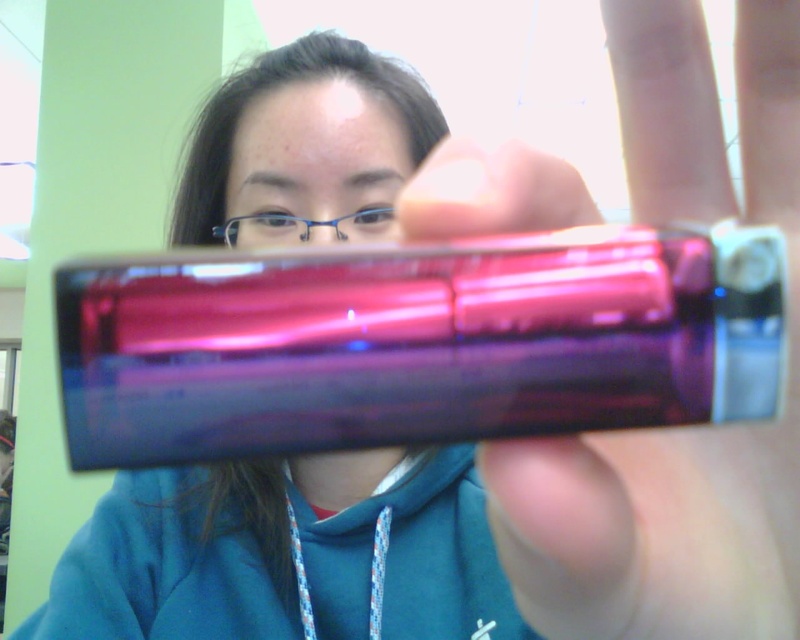 Not bad for a lip balm but for me I don’t like the stickiness of it. 7. N.Y.C. 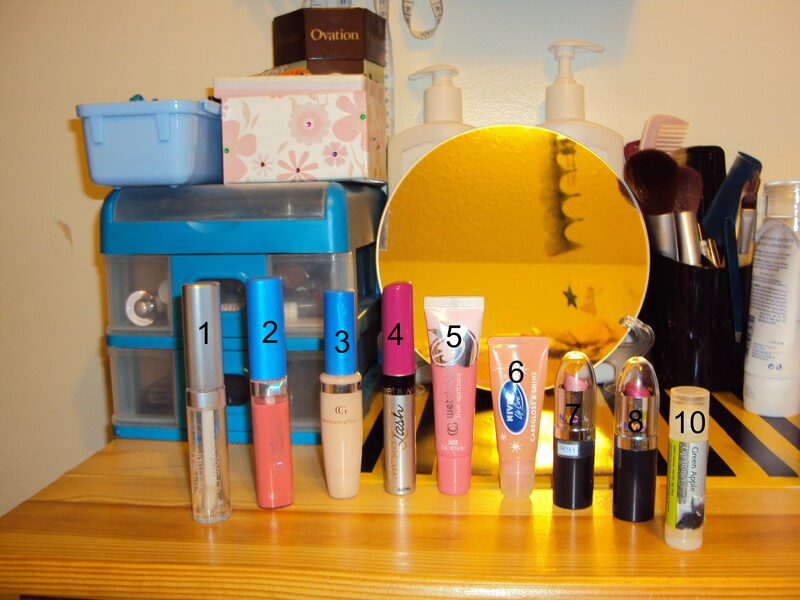 Lipstick in Petal – Bought for everyday but a little too sheer and light on me. 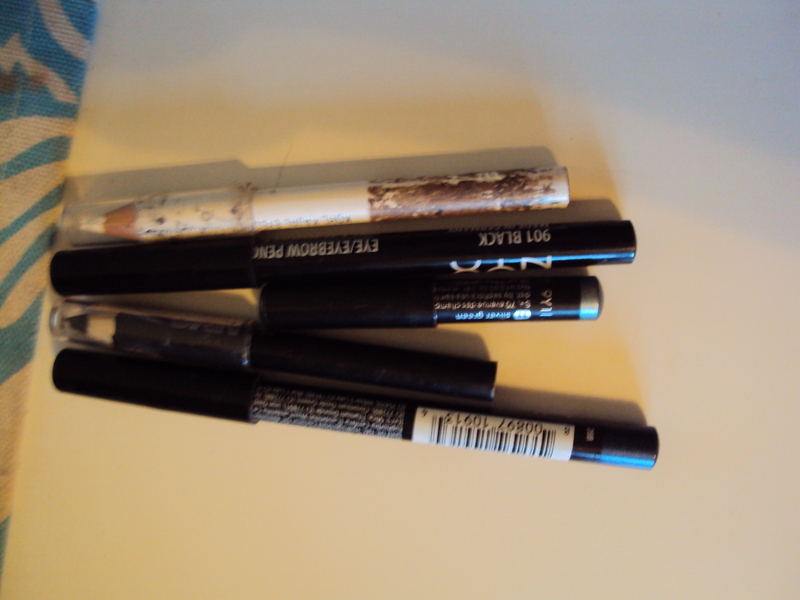 But I still use it for practicing and designing looks. 8. N.Y.C. Lipstick in Blossom – Bought specifically for a tutorial coming up soon. I still haven’t mastered the techniques for this look yet but it will come out soon! 10. Rocky Mountain Soap Company Green Apple Lip Butter – just finished this product yesterday I had this one for over 2 years and the smell was gone but the moisterizingness of it was still in it. 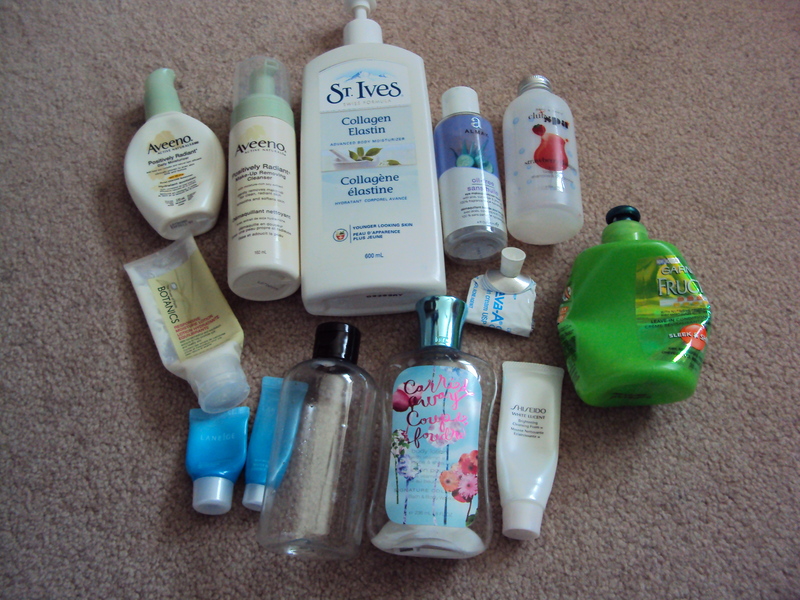 I use it every night as a nightly moisterizer good stuff! 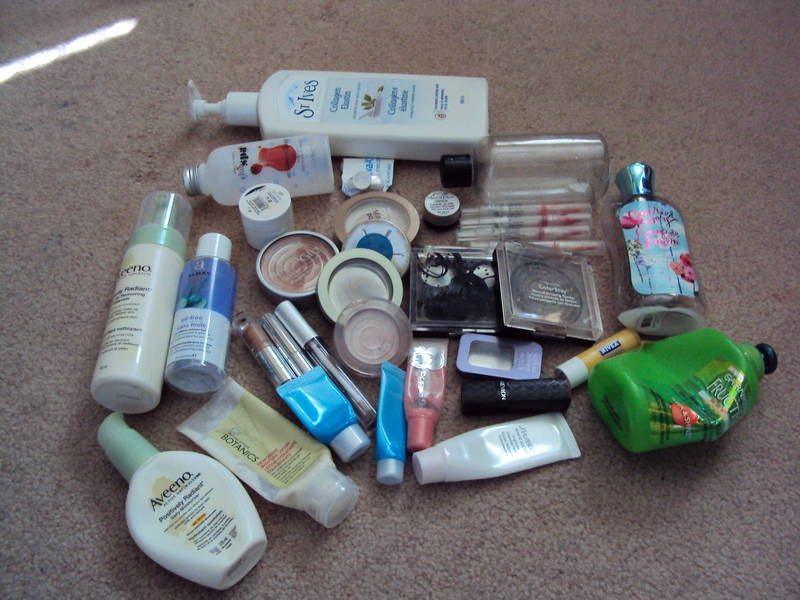 I’ve already repurchased a replacement. And as you can tell I can’t count properly…. yeah… positive… but anyways these are the things that I would like to finish. 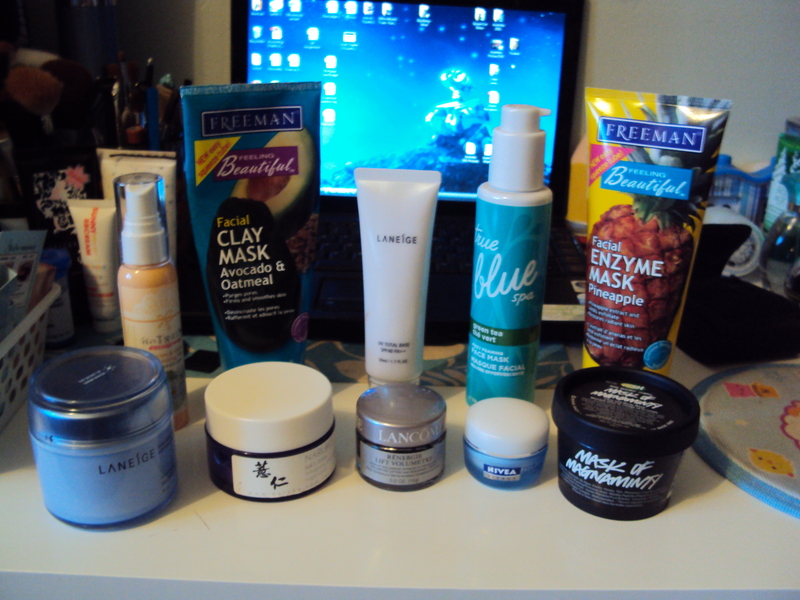 Anyways, these are the products that I have included… I forgot to take a photo of the face products that I would like to use up but that can wait until another beauty related update. After I finish the products I know that I probably won’t be buying anymore glosses and just focus on stuff that I would wear everyday. Well, we’ll see how the project goes on and I hope to get everything done to the best of my abilities! NYX Loose Eyeshadows in Yellow Gold and Rust, and the glitter in Gold for my New Years makeup look. Year of the Tiger Inspired! 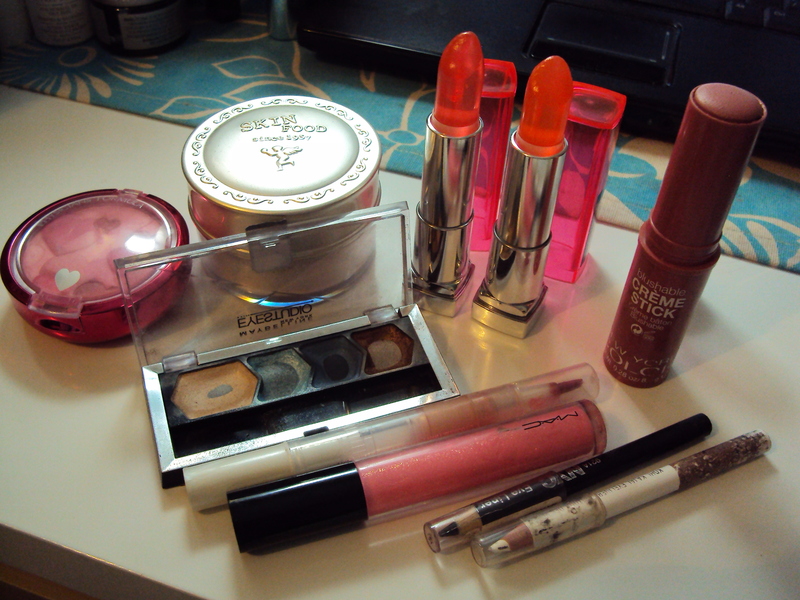 A Maybelline ColorSensation Lipstick in Pink Please. 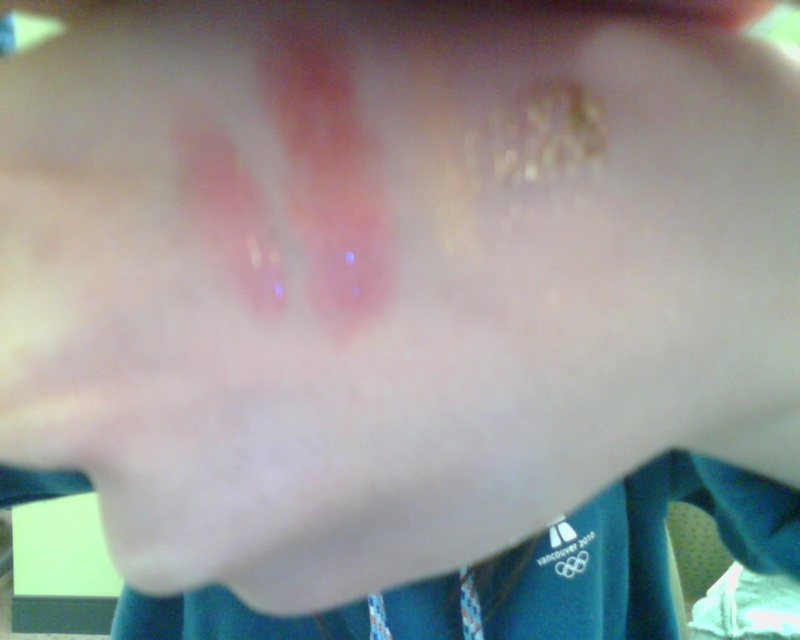 Now the swatches… it didn’t turn out as good as I wanted it to but it works. 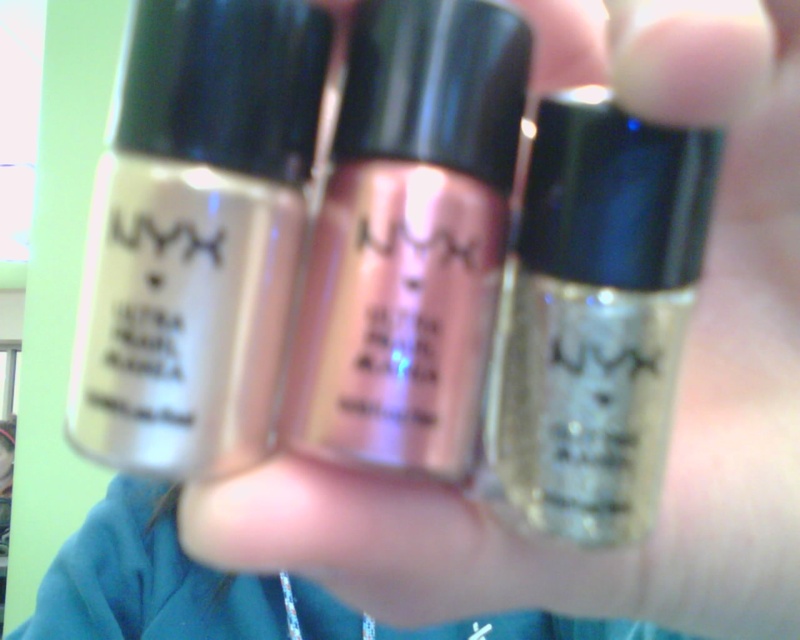 So from the left is Maybelline’s Pink Please, NYX Rust, NYX Gold, and NYX Gold glitter. The yellow isn’t as vibrant as the rust because I took out too much rust. >.< Bad me. 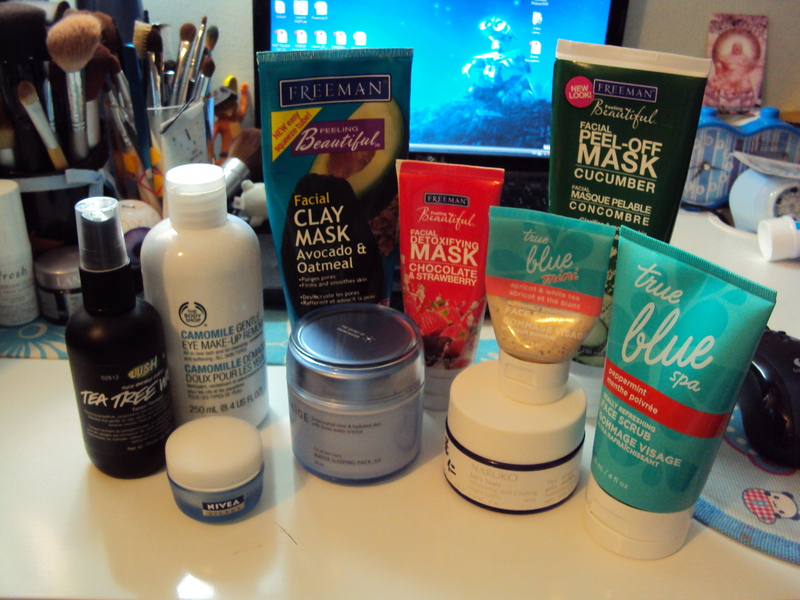 But I suppose it was worth it… I spent $21.00 on everything basially. A good deal? I wanted to buy Maybellines Dream Mousse blush but they didn’t have any but I would have liked to test out its features. Anyways, today has been a blah day and I hope that things will get better sooner or later. Back to work then.